"PhotoDirector 9 Is Quick, Fun, Affordable"
I purchased Director Suite 6 and PhotoDirector 9 came bundled with the Suite. I wasn't sure how I would like this program, seeing that I had no idea what it was at the time. I was also under the impression that it had a limited tool set compared to other photo editing programs. I was wrong and I am glad I was wrong. There are so many cool things you can do with your photos in PhotoDirector 9. I love the Color Splash effects, the HDR Photo Merge effects, and my personal favorite - the Panorama effect. There is a slight learning curve, but with the awesome help guide, I was able to figure out solutions for some of issues I was having. I will say that running PhotoDirector 9 on a laptop with a small screen can be a pain. At least it is for me, mainly because of all of the docker panels. You aren't able to collapse them like you can in other photo editing software. I wanted to leave this for the end of the review. PhotoDirector is available in 3 desktop versions. You can buy it as a single application or get it bundled with CyberLink Media Suite and the Director Suite. Whichever version you buy, you can sign up for their member site for free, which is called Director Zone. This is a free site where CyberLink product users share templates, presets, dvd menus, and more. It is definitely worth checking out. A word of caution though, all of the files that you download from Director Zone can only be used with certain Cyberlink products. They will not work with non-Cyberlink software. I strongly suggest checking it out if you buy PhotoDirector. 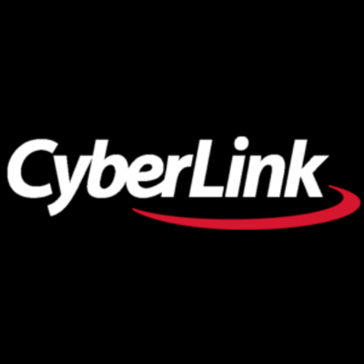 Cyberlink will also send you an email about it as well. With my job, I often take photos of job sites, product damages, finished projects, etc. Using PhotoDirector to edit these photos is a huge help. Making a Panorama in HDR is very helpful for my customers to see what certain finished projects will look like in different lighting. "Basic with some good features." The versions of PhotoDirector that I have had occasion to use so far have seemed interesting tools for users of basic and intermediate level. One of its most outstanding features is the possibility of working only on an isolated area of ​​a photograph, so that the filters and any other effect have no impact on the other areas of the snapshot. On the other hand, the histogram is of great help to correct with enough precision the overexposed or underexposed areas, and I also find interesting the filter of noise reduction, with which it is possible to eliminate in a very simple and automatic way the artifacts that cause the use of a high ISO value or an exposure in an environment with very little light. In tools like this, intended for non-professional users, the presence of filters that facilitate the correction of imperfections in a very simple way is appreciated. PhotoDirector has several options that allow you to adjust contours, soften the skin, unify tones, eliminate wrinkles, etc. And, as far as pure and tough photographic management is concerned, it does not look bad either. It allows to apply adjustments to several photos in block during its importation, to tag them using the facial recognition algorithm or to edit the IPTC metadata in a very flexible way, among other options. I think that is pretty decent for a basic photo editor. But i would like some improvements for the photo editing options and an interface better organized. Also i had troubles exporting images in some specific formats. It tends to get stuck sometimes and is annoying. I recommend it to beginners. It has some cool features, is easy to get familiarized, and once you handled it you can have fun creating your own images. It helped me to get familiarized with the photo editing tools. It give you a good quality result, but profesionally speaking i would prefer Adobe Photoshop or Lightroom. It has a real cool options and is simple to use. It allowed me to made a lot a awesome images either for the artwork and the covers of my music projects or for fun and sharing my edit images on the social media. Also, i used it several times on a Photography companie that i am working. But i would say that i prefer Adobe´s products in quality of results speaking.
" PhotoDirector to give the optimal image to your business"
Tends to be quite slow and heavy, as well as some photographic adjustments that despite being useful tend to become something elementary. On the other hand, it accepts few output formats supported by it, the export of the images may not be useful for some. In the world of software is a type of programs that easily edit photos, allows the editing of photos and videos with basic skills. Despite the friendliness of the application, it is usually one step beyond what the rest of the applications for photo retouching offer. Among the most functional touch-ups of the application is the leveling of saturation, colors, basic parameters and sizes. Importing images from any camera provides commercial benefits that give good viewing quality. Additionally, it resolves the export to websites such as Flickr, which is beneficial because it alijera the load in the promotion and advertising. Content is generated on the site and image processing is light by the treatment of photodirector, cyberlink. "Friendly and exciting tool for photographic experimenters"
PhotoDirector is pretty fast and efficient to use. It impresses with its clear, user-friendly interface and super quick operation and offers many advanced features include face tagging and content-aware object removal. You can also easily export your works as PhotoDirector offers easy-to-use features for sharing directly to Facebook and Flickr. The developer, Cyberlink, currently offers their own cloud service, which means if you use a different storage provider, you are not able to automatically sync files to your cloud account. PhotoDirector is a fine, budget-friendly option that includes all the basics for those who need advanced photo editing software. It also offers a lot of unique tools allowing you to create professional effects at any skill level. PhotoDirector fits the needs of most graphic designers at a range of expertise levels. It even includes some special tools that not all competitors include. It is a powerful photo manager that provides a simple way to manage and store your photos, while also making it easy to edit and share them. "Photo part of Cyberlink media solution package"
This is a part of whole media package of CYBERLINK. For that reasons have same high quality on line support. Photo editing options are not so rich as in some other photo editor but it have some interesting editing features. Photo management is on very good level. As a part of whole package this software is a good addition. Also, there is an app for smartphones to complete whole package. More photo editing options would be nice. User interface is made minimalistic so many options are not visible on first sight. Interesting software for photo-management and partial photo editing. This software have some interesting options that we use in photo editing. Also, photo management is more than good enough for companies that are not so much in photo business, as ourselves. "Powerful photo editing software with a wide assortment of advanced editing tools." Brilliant editing tools. PhotoDirector has a lot of basic and advanced editing tools to help you edit and enhance your images and also enable you to make changes to photos without harming your original copies. PhotoDirector also supports automatic adjustment tools that change the color and contrast of a photo so you can apply several basic edits to your photos easily. PhotoDirector is not compatible with as many image file types as its competitors. It only supports a few file formats including JPG and PNG. This poor compatibility may limit the kinds of projects you can create and what you can import into the software. PhotoDirector 9 is an all-in-one photo editing software that that helps me to make stunning raw conversions and process image files. The program is efficient to use and pretty fast for most of my daily tasks. "one of the best photo editors"
I absolutely love how easy and simple it is to edit photos on this app. Also, there are options to create a collage as well! For the collage option, we can only use up to 6 photos. I would like to use more than 6 photos to create larger compilations. Definitely use this if you're looking to spend less than a minute to edit photos. Some platforms require you to go through different steps just to crop, remove background, or even clone part of am image. This is simple to use. "Simply amazing, professional, fun and friendly editing software"
You can easily create slideshows and videos within this program with the possibility of adding music and fade effects. These slideshows can be shared to YouTube directly from within PhotoDirector. You can also share your photos directly to Facebook and Flickr as well as emailing a photo from within the program. This software helps you store your photos online by letting you upload your photos to the CyberLink Cloud for free. You can import photos from a camera, the CyberLink Cloud or from your computer. Unique to PhotoDirector is the ability to post directly to DirectorZone, a social sharing site for users of CyberLink's Director software series. One of CyberLink PhotoDirector 10's highlights is the new AI Style Transfer tool. This isn't just a set of filters - it uses deep learning to recreate the style of a particular drawing or painting, and apply it to your photo using the same techniques as an actual artist. Each effect is also customizable; you can choose whether to use the photo’s original colors or use those from the style template, adjust the strength, and even apply them selectively.
" The best organizer and photo editor"
This photo manager gives you plenty of organizing options and is easy to use and has face recognition software to help you organize your photos faster. You cannot password-protect your files and albums using this software and you cannot organize your photos by calendar date. If you are looking for a complete quality software that allows you not only to organize photos and videos but also allows you to edit them with a large number of tools, PhotoEditor is the software you need. This program not only allows you to filter thousands of photos and easily find the one you need, but also allows you to correct and transform your photos with its extensive editing tools. "Quick and easy photo editing"
I like that there are several preset options to choose from if you need quick fixes. The learning curve is very manageable. There are some hiccups that keep the program from being fully user friendly. This is a great option for lightweight photo editing. Several presets that help make things even easier. Relatively user friendly. It helps a lot to have the program included on my laptop versus the cost of adding a more expensive photo program. It helps me adjust and fine tune product photos for use on social media, our website and for print. "A powerful photo editor alternative to Adobe Photoshop Elements"
PhotoDirector is a very capable photo editing and management solution that sits between Photoshop elements and Photoshop when it comes to ease of use for beginners. Installation is straightforward and the minimum system requirements are modest but you would probably want the 64 bit version running on a fast CPU with 6GB or more of RAM. A decent GPU can also help as OpenCL support was added recently. PhotoDirector has all the features you would expect from a good photo editor, including good retouching tools, non-destructive editing, local and global adjustments, multiply undo levels, HDR merging, a very good panorama tool, noise reduction and more. Its organization tools are built into the program (not external like Elements' or Lightroom + Photoshop) they are easy to use and comprehensive enough for most users (including sorting, rating, flagging, filtering, adding keywords, creating collections and more). All in all, this is a good program that has enough features for most beginners with a relatively easy learning curve. While PhotoDirector is a good application, it has a competition from the market leader Adobe which provides 2 options to rival P PhotoDirector: Photoshop Elements has the same price and features as PhotoDirector while being easier to use for beginners while the pros would probably opt for Photoshop and Lightroom. PhotoDirector does not match the number of graphics formats, RAW formats and lenses supported by Adobe. Its Type support is limited compared to Adobe's. Advanced color management is limited. It can be slow on low-end computers with limited RAM. When it comes to books, courses and community support, PhotoDirector does not even come close to Adobe tools. If you are an individual photographer or amateur, give this application a try (free trial available). It works well and its main issue is that Adobe's tools have become standard and have huge community support and learning materials. An all in one tool for editing and organizing photos for beginners photographers. A good solution for individuals, but most user rather use the industry standard tools by Adobe. "A robust photo manager with some interesting features"
A Lightroom competitor, Cyberlink's PhotoDirector offers a wide range of features to help manage sets of photos. While not as elegant or streamlined as Lightroom, it does a fairly good job for working with groups of photos. The program is a little cheaper than Lightroom, can be less resource hungry, and performs group actions or processing duties without too much trouble. One interesting feature, which can be hit or miss at times, is its built in single photo HDR type function. The program also has a new lens profile feature for correcting problems. The program can be a bit slow when processing large sets of photos. Also, sometimes the output results are not always identical or similar. Its interface could also use some updates. Definitely compare the program to other photo manager programs on the market. Compare the program closely to Adobe Lightroom which can sometimes be purchased for the same price rnage. The program can really help organize and streamlined photo management duties without the extra resources needed for programs like Lightroom. Its newer features help keep it competitive with other photo manager programs on the market. "Simple yet powerful photo management and editing"
I like the way the interface works and how the photo management system is setup. They may not be adobe or have a big following but don't let that stop you from using them. Could be faster loading raw files but for the normal user this is not going to be a big issuer. For some people the learning curve may be a pain but that is only because we are all used to using other software. Well worth the cost as you can buy in bundle with power director. An excellent way to import and manage all my photo shoots and keep track of edited files. All in one solution for me. "I am a huge fan of PhotoDirector by CyberLink"
Functionality. I've paid triple for software that couldn't fit the bill. Speed. It runs very slow, especially while decoding and encoding. Otherwise it's pretty awesome. I prefer it over most other software, it really works great. I love that it runs so smoothly compared to other software, and with Windows 10 I feel this is the biggest bonus. Making our ad videos were much easier, and faster. They also looked significantly more professional. It's great for quick and basic edit. Object removal , font options, collage creator, basic cropping , object removal and some nice filtering options. It's a great option given it's portability when I didn't have access to my full CC suite. No t as versatile as more powerful programs such as Photoshop or Light, but that is understand,able. A little rough around the edges, literally when it comes to creating managing selection. Color gamuts sometime inconsistent. Often use it on offsite or remote location shoots or when working on a an ASAP deadline. It can really come in handy in that regard. PhotoDirector seems to offer some interesting and alternative approaches to editing photography. If you’re using a Mac, like me, there’s no Deluxe option, only Ultra. Face Swap feature for combining the best expressions from photos to make one perfect shot. You can’t swap back and forth between modules as you work. PhotoDirector is great for people who are just starting out, or who want to get effects without having to learn the technicalities of a more expensive program. It took some time to get used to this program but once I did, there were lots of great features to utilize. It was tough understanding all of the features. I like this software the most because I can import my photos in different ways, and there is a very wide variety of options for editing photos. It seems complicated at first, but after using it for a while it becomes easy to understand and use. Sometimes, the software incorrectly recognizes and tags people in photos. It also doesn't password protect photos. We are able to edit and import a lot of photos at one time, which is so helpful because our company has a lot of photos to sift through. "This is a good one!" I have the software on my laptop and my smartphone. I like the ability to use the software on both my device s especially the app on my phone. I dislike the background removal. I have to delete. The capability of editing my photos for use in my designs. None, I love the app. Best editor around. The simplicity of the ui and the ease of use. Very basic and limited capabilities for a photo editing software. It's a very basic program. Good for editing and organizing photos for basic user level. * We monitor all PhotoDirector reviews to prevent fraudulent reviews and keep review quality high. We do not post reviews by company employees or direct competitors. Validated reviews require the user to submit a screenshot of the product containing their user ID, in order to verify a user is an actual user of the product. Hi there! Are you looking to implement a solution like PhotoDirector?